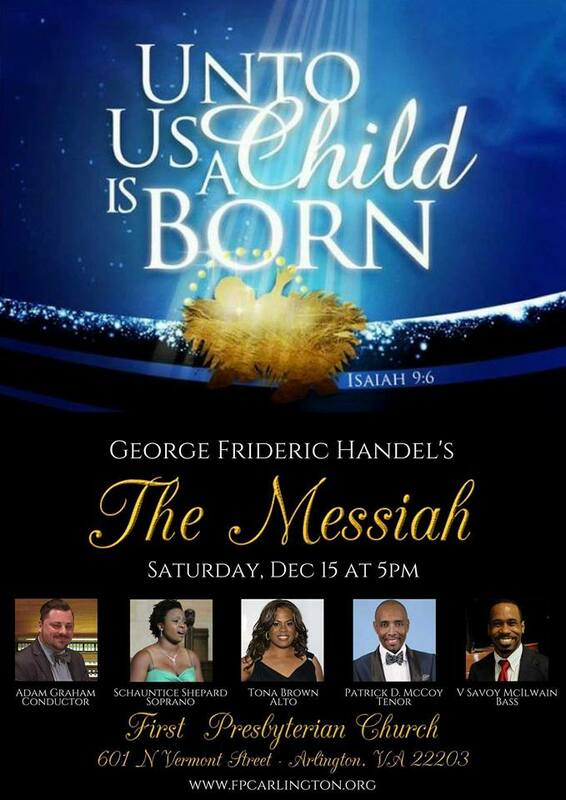 Concerts, musicals, charity events mark the Christmas season. 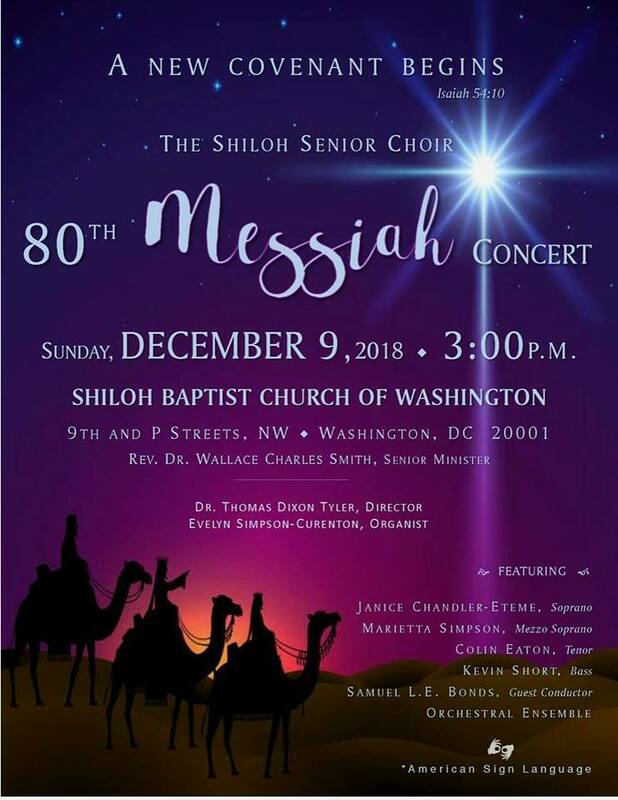 The Christmas season is a wonderful time to enjoy lively festivities. 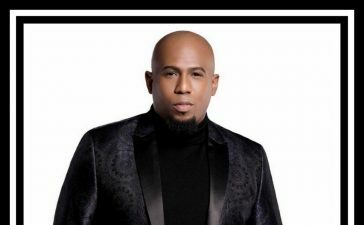 This December is filled with a lot of celebrations that include gospel music. 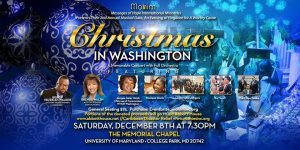 Here are a few of the many events you cam enjoy this Christmas season in the DMV (DC, Maryland, Virginia). 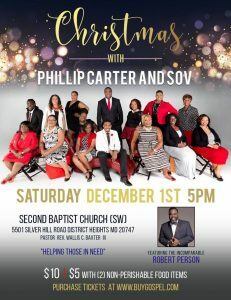 Join Phillip Carter and SOV in a special Christmas concert on December 1, 2018 at 5 p.m. featuring Robert E. Person. 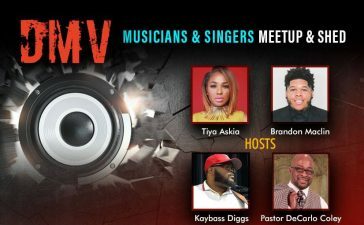 It’s going to be a phenomenal event. 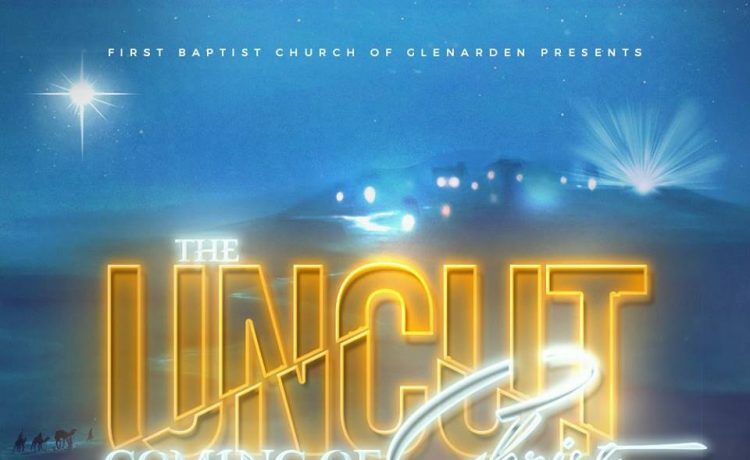 Tickets are $10 and $5 if you bring at least 2 non-perishable food items to help us feed families this holiday season. 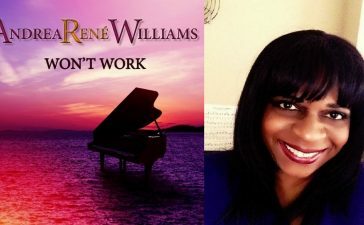 Get your tickets today at https://buygospel.com/collections/workshop-seminars-events. 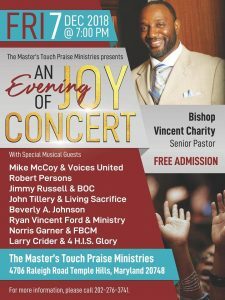 An Evening of Joy Concert features some of the most prolific gospel artists in the DMV. 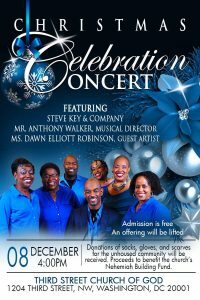 Come Celebrate Christmas with Steve Key & Company! 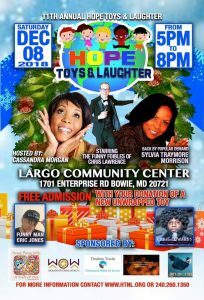 Bring an unwrapped toy to bless a child this Christmas! 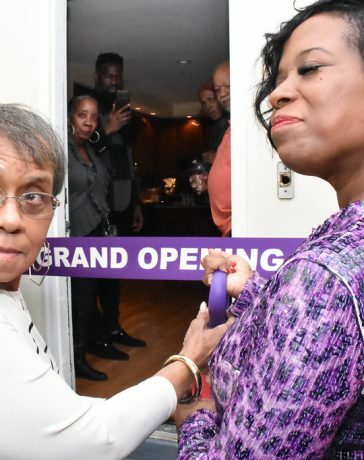 Enjoy laughs with a lot of funny folks at this 11th annual event. 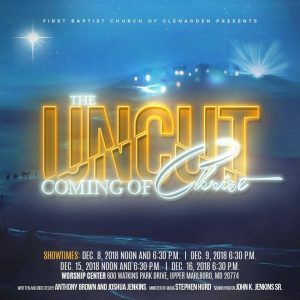 Written and directed by Joshua Jenkins and co-directed and original music by Anthony Brown, This timeless story, set more than 2,000 years ago, captures the birth of Christ and brings the town of Bethlehem to life! 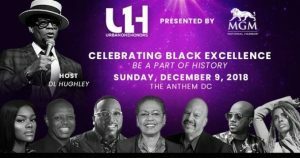 Urban One Honors featuring Honorees, gospel artist, Marvin Sapp, Tom Joyner, Jermaine Dupri, Teyana, Jade Novah, and Congresswoman Eleanor Holmes Norton, Hosted by D.L. 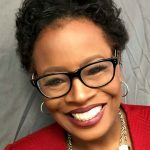 Hughley. 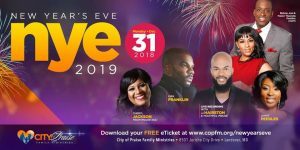 City of Praise Family Ministries will praise in the New Year with special guests Kirk Franklin, Janay Peebles, plus the live recording with JJ Hairston & Youthful Praise. 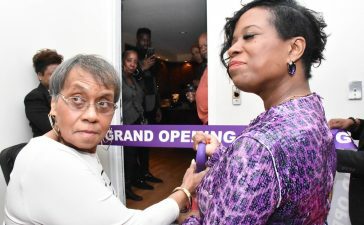 Hosted by Cheryl Jackson from Praise 104.1. 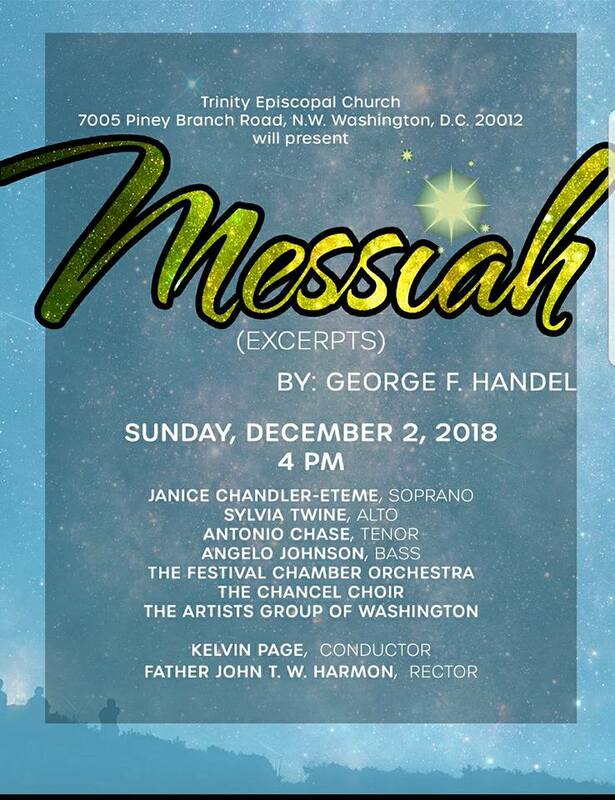 No Christmas season is complete without a performance of the Messiah. Here are a few of the many to choose from.